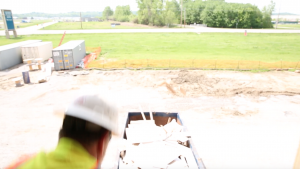 Worker safety throughout a job site is paramount at Brinkmann Constructors. 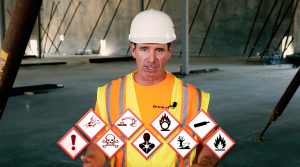 This new safety video delivers that message in a compelling way. Safety is the responsibility of every worker on every job site at Brinkmann Constructors. These days, workers are getting that message loud and clear thanks to a new safety video that’s shown at the beginning of every safety orientation meeting when a new building project gets underway. The video, titled, “I Could Have Saved A Life That Day” is the result of a true partnership between Brinkmann Constructors and the production team they hired to create the video that consisted of Pickett Productions, (which is now known as CG Studios) Mike Martin Media and BloodLInes Creative. There were two, full, on-location shoot days, two green screen shoots at Mike Martin Media and another shoot held at a funeral parlor in south St. Louis. The plan was for Mike Martin Media to go through the more than three hours of footage and assemble the rough cut. From there, Carl Braun, who is the Creative Director at CG Studios, began working his computer graphics and editing magic, doing a lot of color correcting, and adding graphics throughout the video to enhance or emphasize key points. Graphics depicting Hazardous Materials grab attention and help tell one aspect of the safety story. 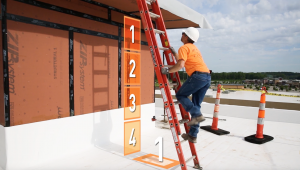 The proper angle to set a ladder is re-enforced via these graphics. Carl and I have been working together on projects for more than 15 years. So there was a real comfort level as we worked as one to try and plus the rough cut that Mike Martin Media had sent us. The graphics Carl used throughout gave a contemporary feel to the overall video and were also in line with Brinkmann Constructors’ new brand guidelines, which were recently developed by TOKY. 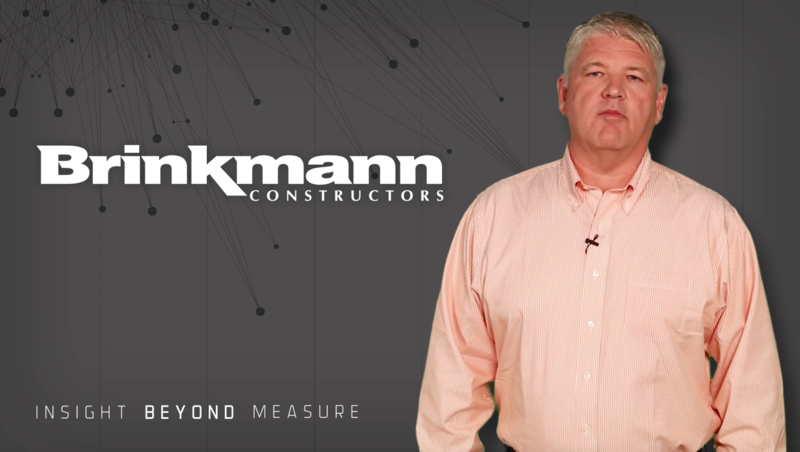 Brian Satterthwaite, President of Brinkmann Constructors delivers the closing message of the video with graphics representing the new corporate branding. 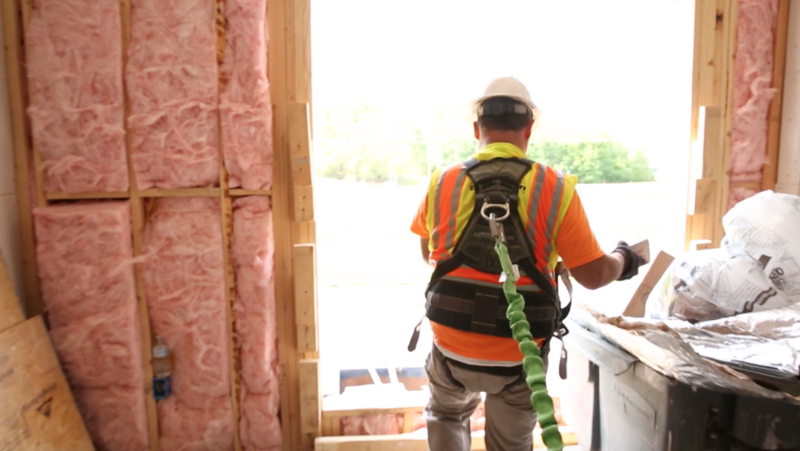 We also worked hard to enhance the most dramatic part of the video – the plunge of a worker who wasn’t tied off, resulting in a fall off the second floor of a building under construction. The end result was quite convincing. Not being tied off when you’re working above ground can have fatal consequences. This was one of several quick cuts used to help make that point. 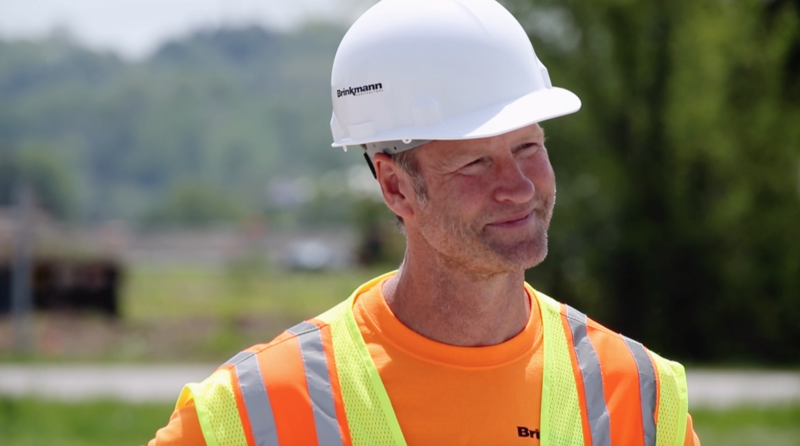 According to Tim Myatt, Safety Coordinator at Brinkmann Constructors, the entire video does exactly what we all wanted it to do – it tells a very convincing story of the need for safety at every job site. “Now, every time we do a safety orientation, I know we’re going to grab attention and deliver our safety story in a way that will be seen, noted and acted upon. Workers are getting the message, loud and clear,” said Myatt. 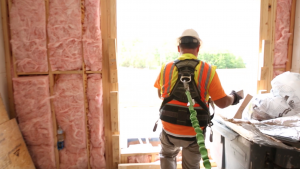 The second poem that is read in the video is called, “I Know I Saved A Life That Day.” The last scene in the video is of the worker who stepped up and made a difference by telling another worker he wasn’t tied off while he was working on the second floor. The video ends with that worker watching as the man climbs into his pickup, ready to go home for the day. The man responsible for saving his fellow worker from a potential fall thinks about the impact he made by standing up and stepping in. Thanks to this video, that could be the end result, many times over. 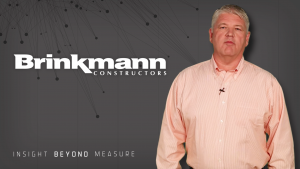 This is the third of three blogs regarding this project for Brinkmann Constructors. BloodLines Creative works in partnership with a variety of creative resources. If you’re looking to tell a story via video, or have any other marketing communications needs, we can assemble the team ideally suited to get the job done – on time, on budget and with big idea thinking delivered in an impactful way.